Sometimes the inside eye of the horse was covered to prevent shying. 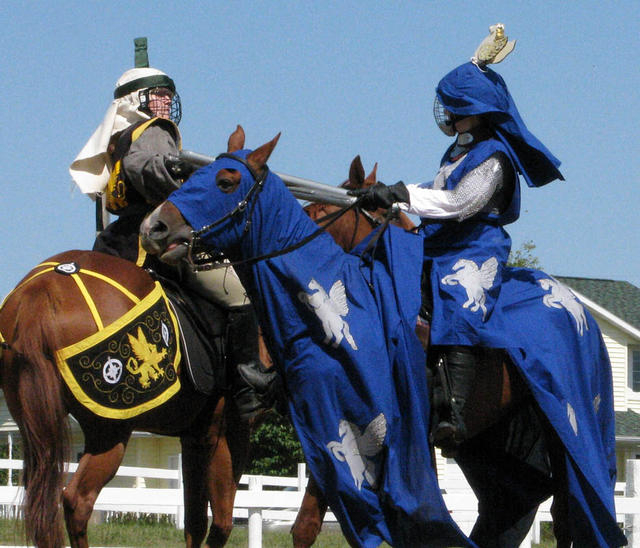 The Society for Creative Anachronism is a hands-on organization investigating pre-1600 Europe. But really its just a fun time disguised as history. 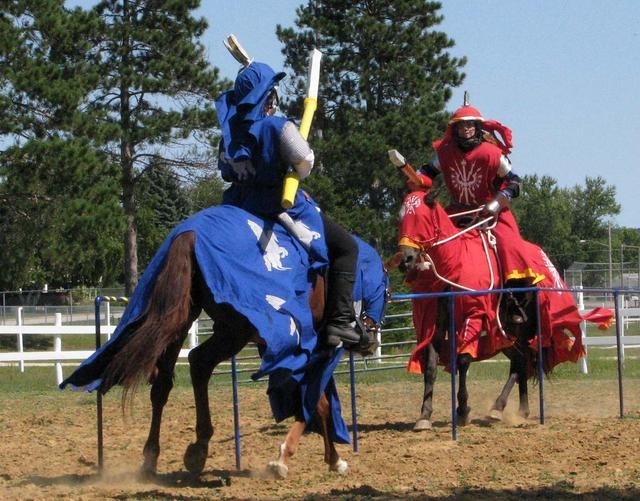 At our "events" we gather with friends dressed in clothing from many different times and cultures, have competitions with sword and bow, feast on scrumtious historical dishes, and generally have a good time while learning history. 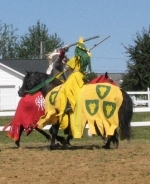 My favorite events allow me to bring my horses and dress them up in period trappings as well. 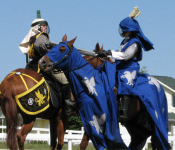 Besides just looking medieval, there are many equestrian games to play in the SCA. 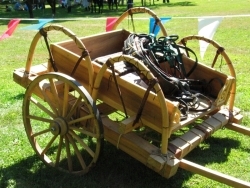 The one demonstrated here is called Ring Tilting. 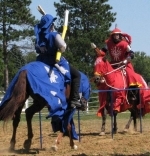 Sword drills, horseback archery, spear throwing, jousting the quintain, mounted combat and jousting other riders are other games that are commonly played. 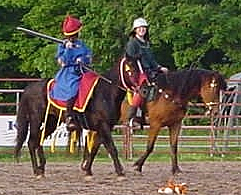 Most SCA games are based on historical military drills for skill development or common period activities. They are modified to keep safety a priority. If that piqued your interest enough to find out more, here's a little description of how to make some of the equipment we use, where to go to find out the rules for playing, and a FAQ on how to get started. Being in the SCA gives you a chance (and an excuse!) to learn to do all sorts of really neat things like this cart built by Her Ladyship Thuri and friends. And if you're really hooked, here's who to contact to find out where your local horse group can be found.